Is history repeating for Scandinavian wolves? Back in the early 1800’s, the Scandinavian wolf population was healthy and strong. This soon changed because of hunting, killing and poaching. As a result, the entire Scandinavian wolf population decreased dramatically over the next century. By the 1960’s wolves went virtually extinct. As a result, the current wolf population is facing serious threats. Please also read: Will Finland listen to science for updating their wolf management plan? A recently published study from Flagstad et al., describes that the genetic variability back in the 1800’s was high in the Scandinavian wolf population. This is one of the indicators for a healthy population. However, the genetic variability decreased considerably towards the 1950’s. By that time, 40% of genetic allelic diversity disappeared, as well as 30% of heterozygosity. This coincided with intensive prosecution of wolves. Every year, hunters killed hundreds of wolves across Scandinavia. This caused the Scandinavian wolf population to differentiate from the Finnish wolf population as well, as there was virtually no gene flow between the populations any more. A small gene flow from Russia started around the same time. The study identified several events of immigration, where wolves from eastern populations in Russia migrated westwards into Scandinavia. These events also overlapped with times of flourishing Russian wolf populations. They took place in the 1940’s, late 1950’s and mid 1970’s. The immigrating individuals counteracted the loss of genetic diversity in the Scandinavian wolf population to some degree. The original historic Scandinavian wolf population did not survive the genetic bottleneck over time. People have destroyed the wolf population and its original genetic variation completely, simply by killing virtually all wolves. Now, the current wolf population in Scandinavia can be traced back to only two immigrating individuals from Russia. The genetic diversity of the current Scandinavian wolf population is thus dangerously low. There are several threats connected to this, such as the so-called genetic depression. If the wolves continue to reproduce with closely related relatives, genetic diversity will eventually further decline. This can lead to weaker individuals and result in the second disappearance of the Scandinavian wolf population. The fact that the current genetic diversity is so low, is used by people as an argument to continue to kill wolves. 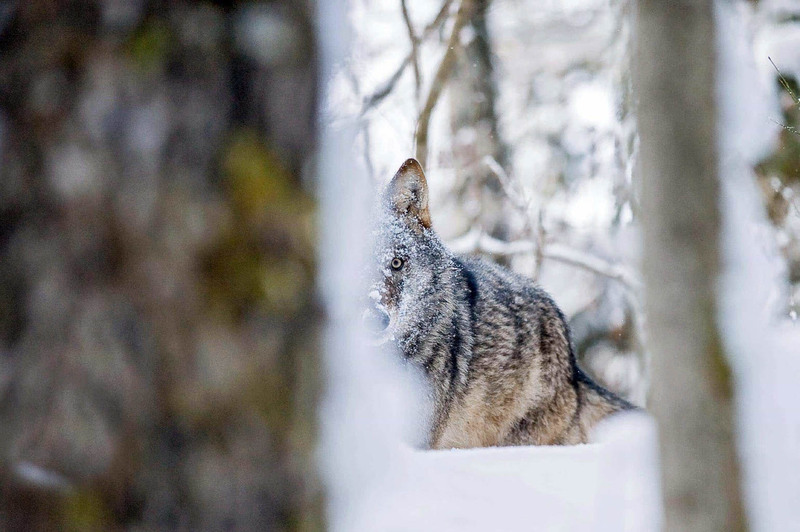 Wolves living in designated wolf-zones are not not even safe any longer in Norway. Keeping the population numbers low will prevent closely related individuals to mate, which is better for the population, they say. However, this argument neglects the fact that there is still a giant barrier preventing immigrating wolves to join the Scandinavian wolf population. And it is exactly this barrier, resulting from annual hunting, culling and poaching, that keeps the genetic diversity low. If the Scandinavian countries do not recognise the impact of killing wandering wolves from other populations, the Scandinavian wolf population will remain genetically threatened. Eventually this will lead to its disappearance once more, either with help from hunter or naturally by time. The best way for these countries to preserve their native predator would be to abandon the annual culling and allow wolves to roam the region once more. The alternative of wolf-free zones is simply not a solution. The international demand to stop annual culling of wolves is growing. The wolf remains a protected species in the EU, and the majority of people welcome the wolf back. Perhaps the Scandinavian politicians and decision makers will listen to their people and the European Commission. Then maybe, there is a chance for the Scandinavian wolf population to survive.